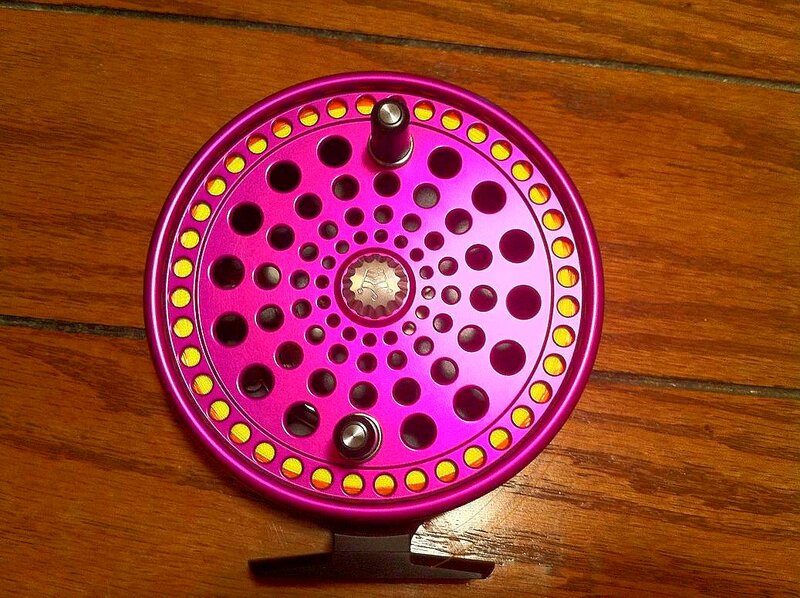 Every few years I start to upgrade my fishing gear as I like to keep up with current trends. Several years ago, I bought a Kingpin Series 2 reel to replace my Bob James and Milner reels. My series 2 has logged a lot of miles and brought in a ton of fish. I truly loved the reel and recommended it to other steelheaders. While I was cleaning it last night, I noticed a lot of nicks and scratches. 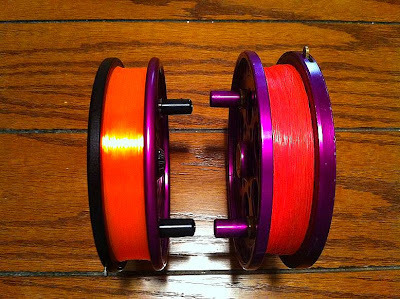 Despite my rough treatment, the reel performed flawless in all of the conditions whether it was heat, cold, being dropped on rocks or in the water. It was a beautiful piece of engineering as the British are known for. I drove over to Erie Outfitters and purchased my latest reel - the Kingpin Imperial 475. Several friends of mine had purchased the reel towards the end of the season and they loved them. The Imperial is the 2nd generation and the only differences are the knurled front spindle bolt as opposed to the slotted one and the clicker is positioned slightly higher and is more beefier. 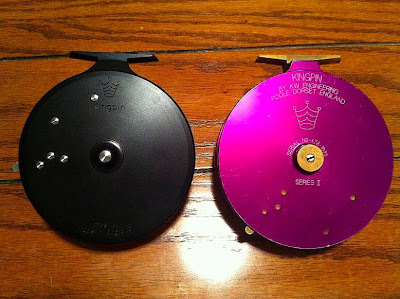 There were plenty of color schemes to choose from and of course I selected the purple with the black backing plate. When I got home, I held both reels and found the Imperial was lighter due to the fact it has more ported holes and a thinner profile. The Imperial weights in at 9.1oz while the Series 2 is slightly heavier at 9.96oz. 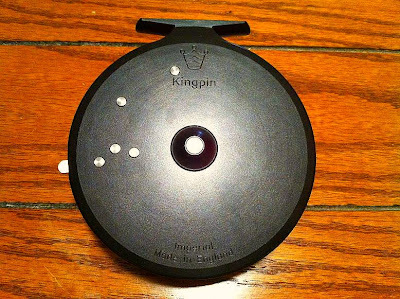 Both were the same diameter, but I noticed the Imperial is more refined looking. Like its predecessor, the Imperial has ABEC 5 bearings and is machined from high quality aluminium bar stock. The reel spinned so effortlessly and there was barely any noise. I place the reel on my 13' Loomis and noticed due to the lighter weight, I had to position it farther down on the handle in order to properly balance it. Generally, I prefer more handle as I like to tuck it between my elbow and ribs when fishing, so I might have to look into adding some more weight at the bottom. Looking forward to breaking in the new reel in the couple of weeks as some steelhead will start showing around the lower sections of the rivers. Nice new addition Greg! I have the Imperial Gen1 and has served winter steelheading quite well. Look forward to those recaps.